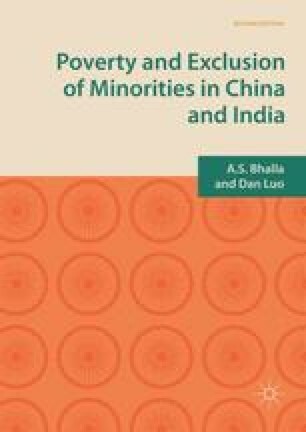 This chapter presents two case studies of Jammu and Kashmir in India and Xinjiang in China, border states with over 60% of Muslim minority population in each. Both suffer from separatism and violence. It discusses poverty and inequalities and such non-economic factors as religious and ethnic identities and human rights abuses. It concludes that minority poverty and inequality vis-à-vis the majority population can cause conflict regardless of the nature and type of political regime. In both Xinjiang and Jammu and Kashmir, the Muslim minority is poorer and has limited access to jobs, two economic factors which seem as important in explaining social discontent and violence as external factors such as cross-border terrorism. UNICEF (United Nations Children Fund). (2007). China health issue (www.unicef.org/China).